This last year I’ve been dancing and storytelling and studying more than I have been writing. I’ve been brewing thoughts, and allowing them to percolate. There have been many challenges, and a whirlwind of changes: Two house moves, marriage, turning 30, publishing my book, learning to dance. My love and I now live in our own caravan! It is a static caravan rather than a mobile home like I dreamed of, but I think it’s better for us. Wales is our home and it is good to have a foundation here. Roots. I’ve been putting down roots, I suppose, choosing where I stand. Reflecting on who I am and where I am. Who and what is The Faery Queen – how does She relate to deities, archetypes, spirits? How does she tie in with the many goddesses that hold the title Faery Queen? 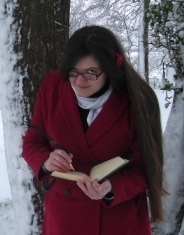 She isn’t an archetype, though “Faery Queen” is also an archetype… so what is She? How does she manifest throughout the year? Does she change or it is constant… and what does that mean for her nature? How do these powers/beings/deities(?) relate to deities that share the titles which seems to be their names? How does this Enchantressing path relate to the Craft? To Priestessing? What are the differences? How do they overlap? Are they all words for the same thing or distinct practices? What is the purpose of what I do? How does this honour the land? How does this help my community? How does my work fit within historical practices and traditions? What is my “lineage”? I’m clearly deeply rooted in neo-pagan structures, practices and attitudes, but that isn’t the only influence. And what does it all mean? Who and what are the Fae? How metaphorical are they? How metaphorical is our relationship to them? How do they relate to other spirits? 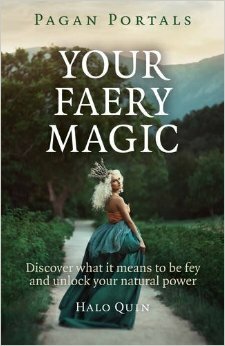 Is Faery-work just a form of spirit-work? It being Imbolc over the next few days it feels good to be seeing the seedlings sprout and these questions begin to find the light of day. My Queen wears white now, as do many goddesses at this time of year, and she beckons for us to awaken to ourselves and dance among the snowdrops and hailstones as the light grows and the land begins to stir. In recent posts I’ve discussed each of these aspects, how an enchantress uses Glamourie and Honesty, a hint of what it means to be Fae, what beauty is and how this relates to Healing. Each of these is an aspect of enchantment, the magic of the Fae. Each one can be used in negative ways too, illusion and glamourie can be used to mislead, transformation is not always healing and Faery runs by its own, untamed laws. As human beings who live within the world, with other human beings and dependent upon the land and those around us – however self-sufficient we can manage to become we still have to depend on good relations to allow us to stay in a specific space! – it is sensible to use these skills in positive ways, to work to heal and help ourselves and others, whether human or Fay. The majority of magic-workers understand this and the fact that everything is interconnected. The double-edged nature of enchantment – and all magic – means that we can protect and defend ourselves where necessary and the interconnected nature of all means that we will think carefully about what course of action to take. As a result I will be posting almost exclusively about the positive side of enchantment and trusting my readers to follow their own ethical codes. An Enchantress is one who enchants. As one who focusses on beauty, healing and joy, I am also a Devotee of Delight. I am Enchantress and Devotee of Delight. When I remember these two things together I follow a healing, beautiful path.